Another of the three very variable, and therefore most confusing, Platanthera species to occur in the Rocky Mountains area, the Sierra Rein-orchid is best identified because it is a much larger and more flowery-looking plant than the other two. In late June and early July this orchid flowers in vast numbers in the damp meadows close to rivers. 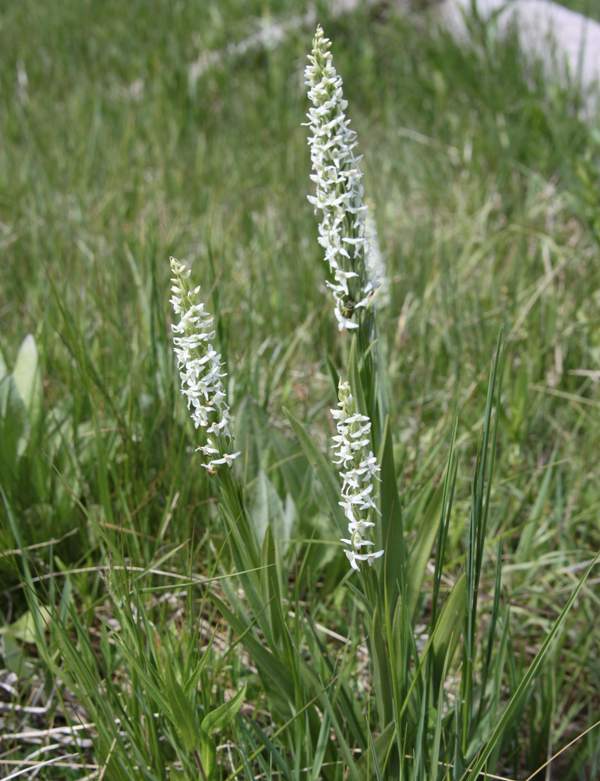 It is kept company by Platanthera dilitata var albiflora and, slightly later and less commonly, by Hooded Ladies'-tresses (Irish Lady's-tresses) Spiranthes romanzoffiana. Attempts to identify these various white bog orchids are not helped by the regional wildflower guides which all have different common names for species - for instance, Bog Candles, according to the Audubon Society's guide is the common name for P. dilitata var leucostachys, while Paul Martin Brown's guide, The Wild Orchids of North America, North of Mexico, accords the name Bog Candles to P. dilitata var albiflora. It really teaches you the value of scientific nomenclature! 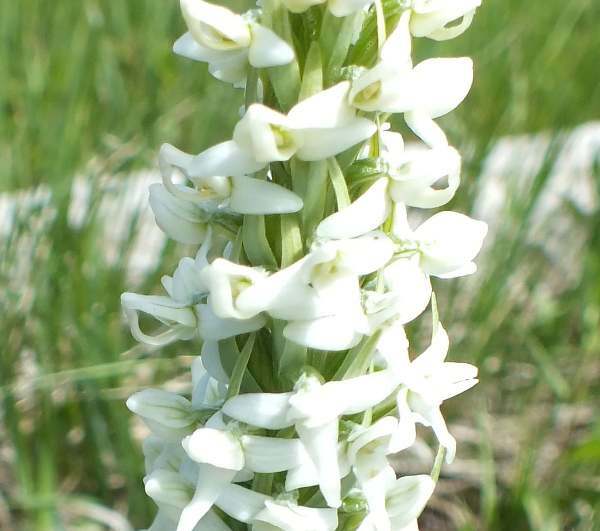 Growing to a maximum height of around 70cm in ideal conditions, the pure white flowers are reminiscent of the Platanthera species that occur in Europe namely Platanthera chlorantha (Greater Butterfly Orchid) and Platanthera bifolia (Lesser Butterfly Orchid). The range of this lovely wildflower is throughout the western mountains of North America, and it grows in all three of the national parks:Yellowstone National Park, Grand Teton National Park, and in Rocky Mountain National Park. The specimens shown on this page were photographed in Yellowstone National Park in late June.